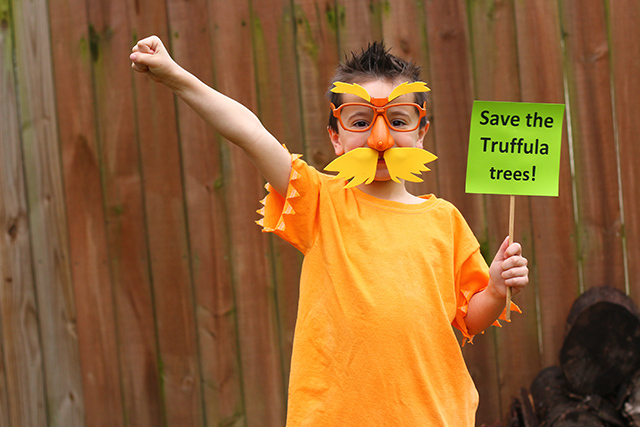 I came up with a great, easy DIY Lorax costume last year but I never shared it with you. It’s Read Across America Week, which for many pre-school and elementary school students means book character dress up days. It’s also Dr. Seuss’s birthday, so it’s the perfect opportunity to dress up like one of his memorable characters. Last year, Elias wanted to dress up like the Lorax. 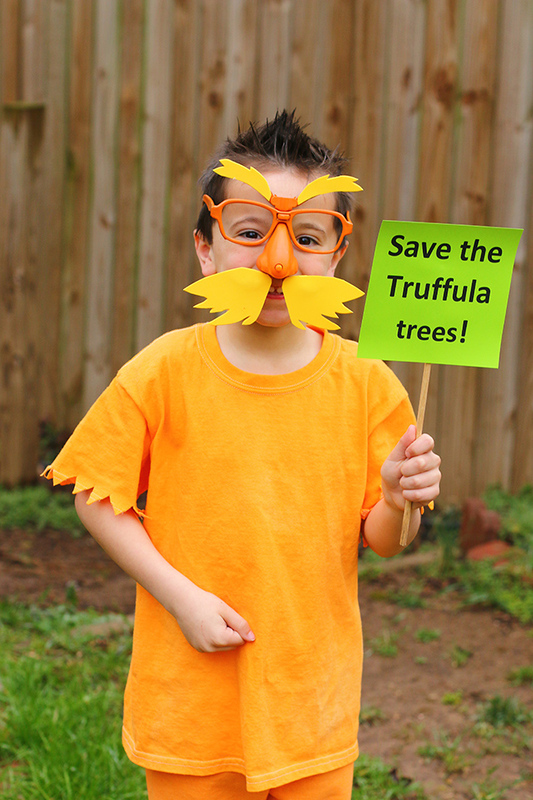 He loved wearing his Lorax costume and I loved how simple it was to make – no sewing required. Perfect for busy moms! Below are the supplies you’ll need, which you can find on Amazon or at any craft store. You can easily make this one night, though it might be easier to do over the course of two so that you can dye and paint one night and cut and glue the other night. 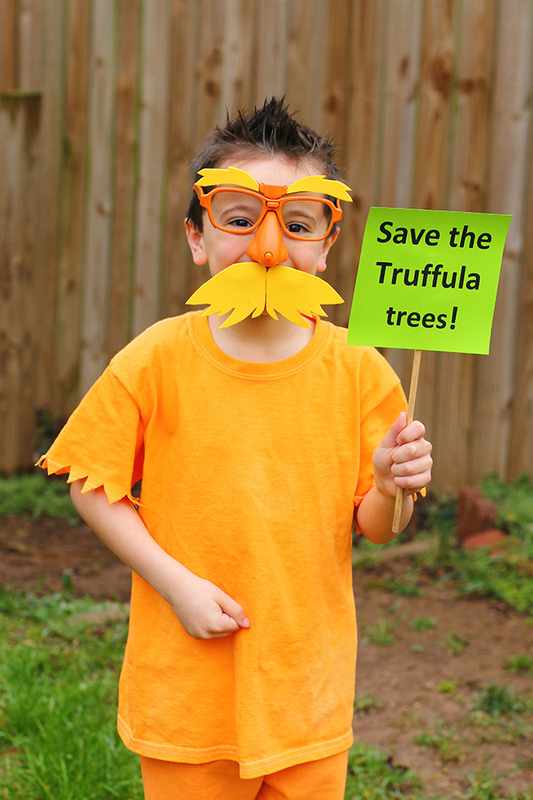 For extra fun, make a Save the Truffula trees sign out of colored paper and a thin stick or dowel. To further your Lorax fun, read The Lorax or watch The Lorax movie. For more Dr. Seuss book character costumes, see this Sam I Am costume tutorial and this Star-Bellied Sneetch costume tutorial.